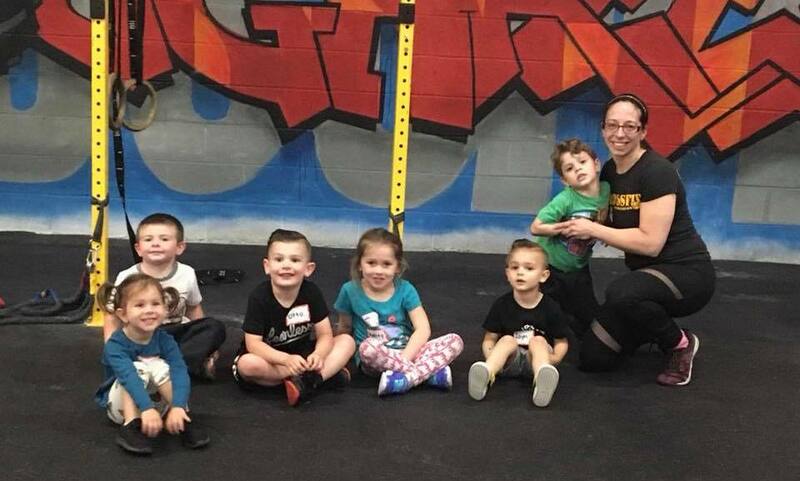 Designed to introduce our youngest athletes to CrossFit concepts, the class is kept small and its play based curriculum teaches children that exercise is fun. Skills are focused on appropriate developmental motor skills for the average 3-5 year olds. Classes are compromised of games, relay races, obstacle courses, basic gymnastics, and other engaging physical activities. Parents are invited to participate in the class. An energizing fitness program we’ve created for children, “CrossFit Kids” teaches the importance of teamwork as kids grow and move on to other sports and exercise. The focus of each class is on how well your child moves, not how much or how fast. Every class is loaded with age appropriate excitement coupled with learning the basic functional movements. We want to see your kids grow in strength and skill as well as in confidence and character, and above all have fun! Ours Teens program is a strength and conditioning class developed specifically for the teenage-“ish” age range and is always scalable based upon your teen’s ability. We teach our young athletes to move correctly and because the workouts are constantly varied, your teen is less likely to fall prey to the overuse injuries that plague common training routines and year round sports. CrossFit 845 can help any high school athlete improve his or her speed, coordination, strength and endurance. Do you coach or over-see a sports team, cheer-leading squad, youth group, or after school club you think could benefit from even a once a week fitness program? We’ve set up private coaching with countless school, civic groups, and sports teams and would love to discuss the opportunity for private sessions solely for your organization. Contact us today for more details!